Kellie Leitch: The Alt-Right Candidate of Canada? "If we wait for the perfect candidate to arrive on his white war-horse to save us all with one stroke of his sword, we will be waiting forever." — Anon. Immigration reformers, social conservatives and ethnic nationalists have been emboldened by Donald Trump's win in the United States, but we're still very much a target for politicians, the media, big business and academia here in Canada. Having an historic change next door doesn't insulate us from being carpet bombed by Social Justice Warriors, Cultural Marxists, Islamophiles, Immigration advocates or Big Business. Indeed, if a political candidate with even some of our views dares to stick his or her head above ground, he or she is immediately attacked as a racist, fascist or worse. Now think what I just said. Our opponents go completely bat-sh*t crazy when some politician says some otherwise common sense thing opponents take to be the thin edge of the racial awakening of ordinary Canadians. It's as if they have their antenna out for even a whiff of ethnic nationalism in order to stamp it out. I know why they're so anxious; why they're so afraid. They know in their guts ethnic awakening will sweep the nation once a spark can keep burning despite the hailstorm of abuse. They're right to be afraid because the entire Canadian multiculturalism edifice is built on a false premise; that family, ethnicity and race doesn't matter. In the end, biology will come back to bite Progressives as it has done everywhere in the world where Progressives and Communists (but I repeat myself) have tried to ignore it. That's down the road; the eventual collapse of multiculturalism is the light at the end of the tunnel. For the moment we can use these attacks for our own purposes. We can turn Social Justice Warriors into scent hounds to sniff out the people and policies we should support. They, misguided and short-sighted as they are, can show us exactly where our efforts should be concentrated. They can identify which politician we should support and vote for. Right now all the hounds are pointing at Kellie Leitch, the M.P. for Simcoe-Grey, and candidate for the leadership of the Conservative Party of Canada. They hate her because she has called for screening all visitors, refugees and immigrants for Canadian Values. Why is that a bad thing you ask? Because it would effectively eliminate true believers in Islam who, according to the Koran, do not believe in Canadian civic, legal or moral values. It would also screen out Islamist terrorists who pray to Allah when committing their crimes. In other words, it would put a pause on Muslim immigration very similar to the new policy in the United States. And yes, Progressives hate her for it. 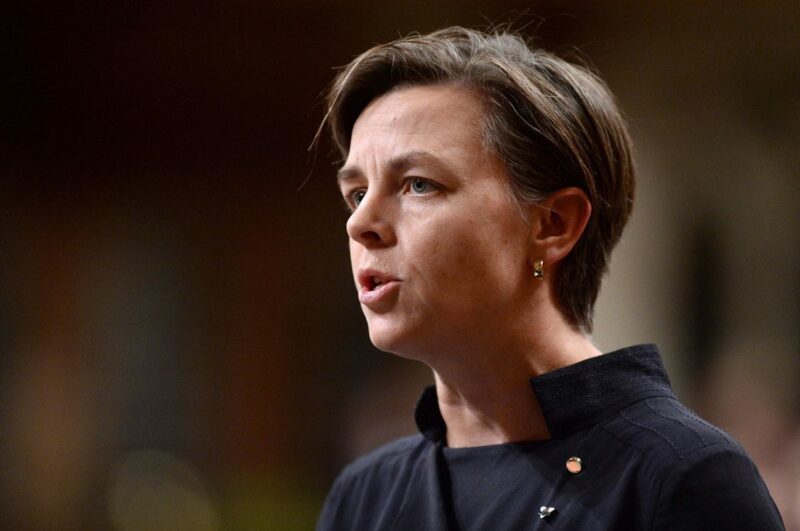 Kellie Leitch is eminently qualified to be the Conservative Leader, having previously been Parliamentary Secretary to the Minister of Human Resources and Skills Development, and Minister of Labour and Minister for the Status of Women. She is Catholic, pro-life and a pediatric surgeon (being the latter is why she is the former). That's another reason Progressives don't like her; they don't mind Syrian women with five children but native Canadians, no way. As I write this, Dr. Leitch has come out in favour of letting Canadians carry pepper spray for personal defence. There'll be outrage over that too. Progressives believe the Police should protect you, and if they aren't there when you're attacked, too bad. Does this mean Kellie Leitch is the perfect candidate, no. And it doesn't mean she won't be pushed off message, or off policies in the future. Indeed, nothing in politics is guaranteed. However, as long as the Left is attacking her, as long as she's being vilified by Progressives, we know she's on the right track. For this, for now, she deserves our support.